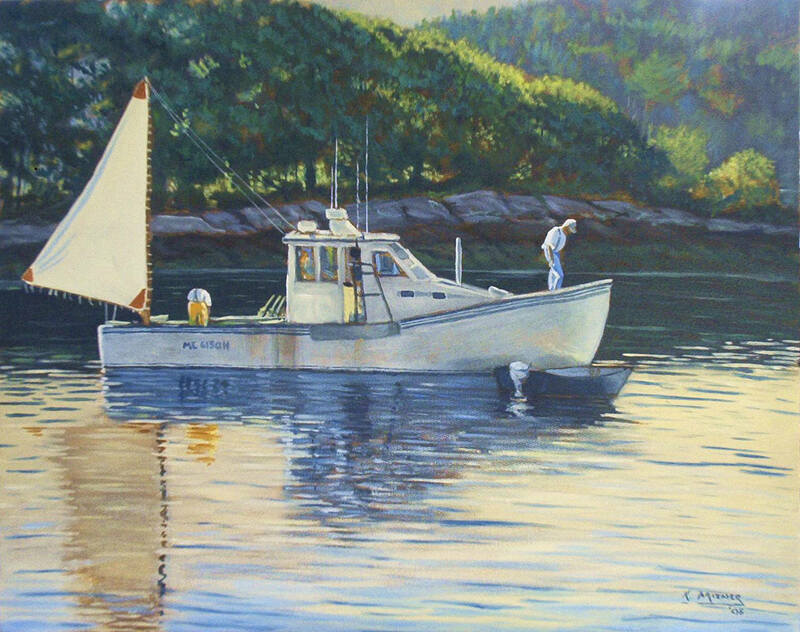 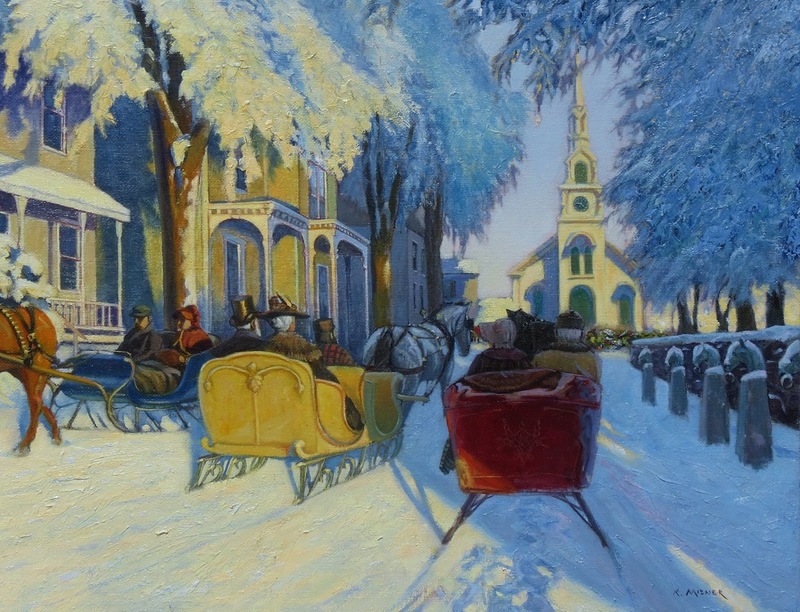 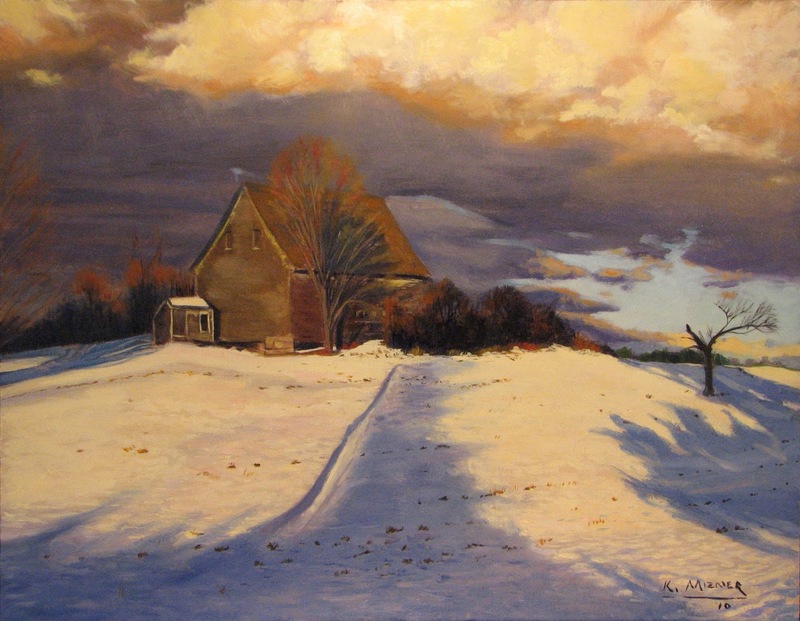 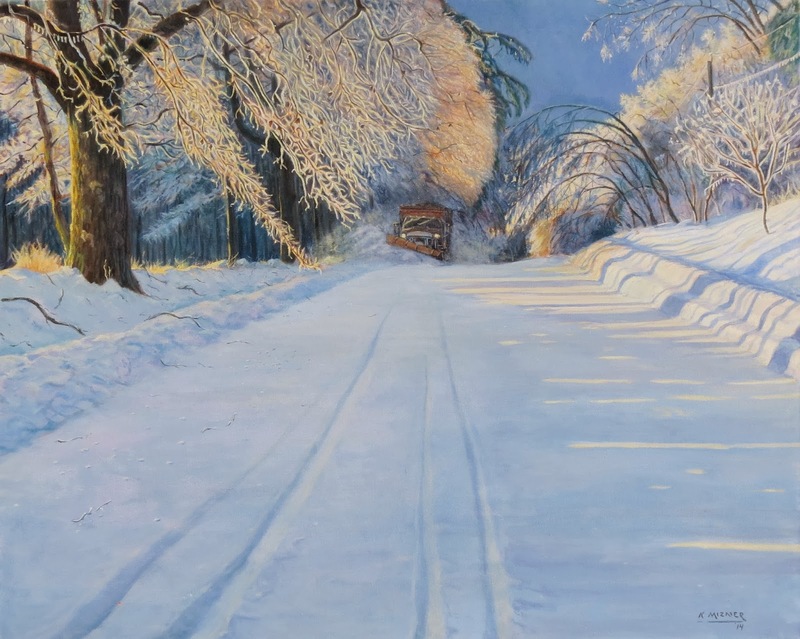 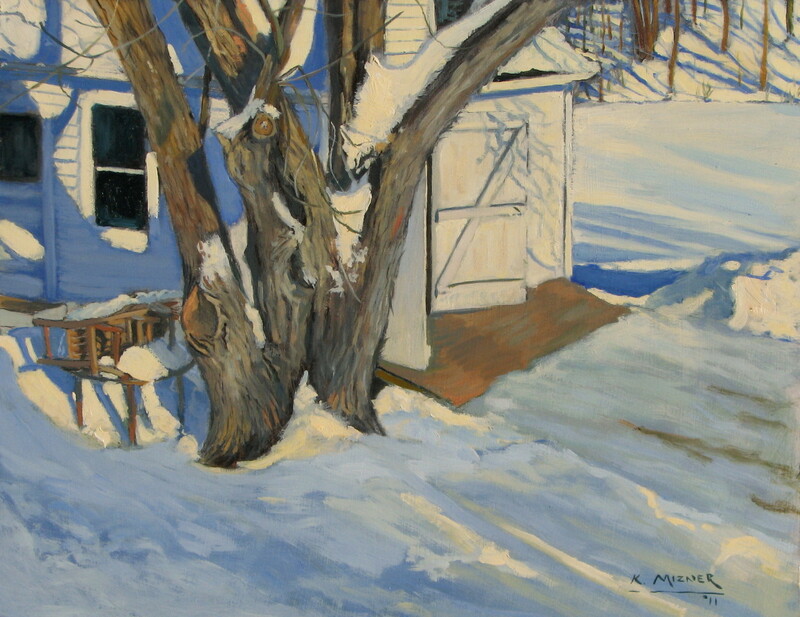 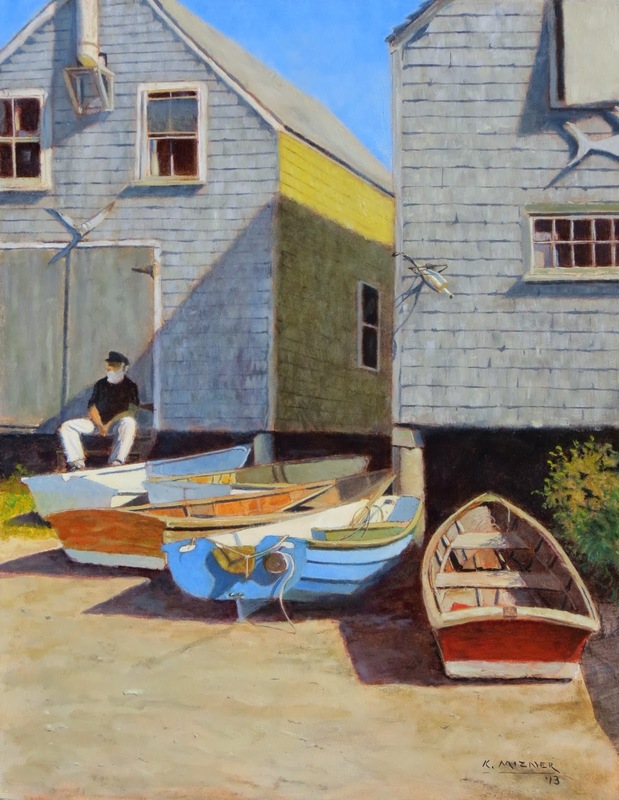 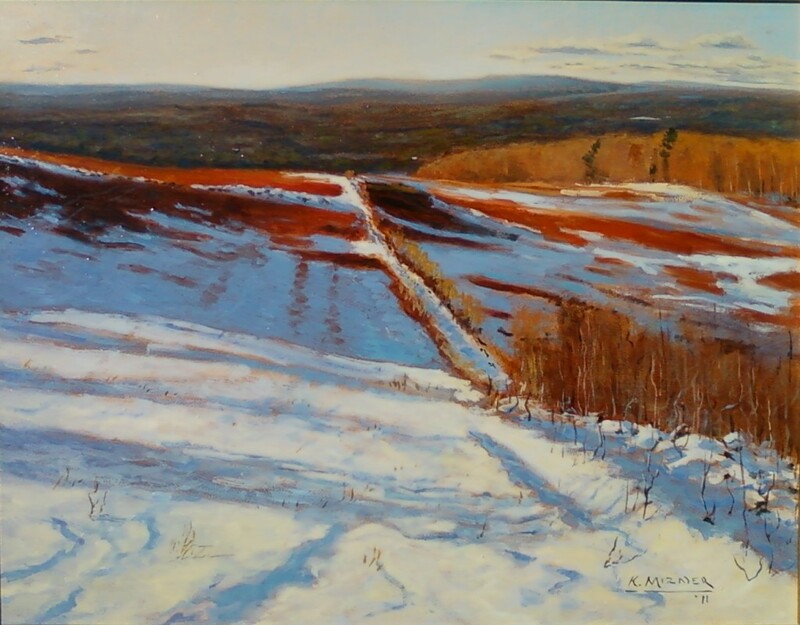 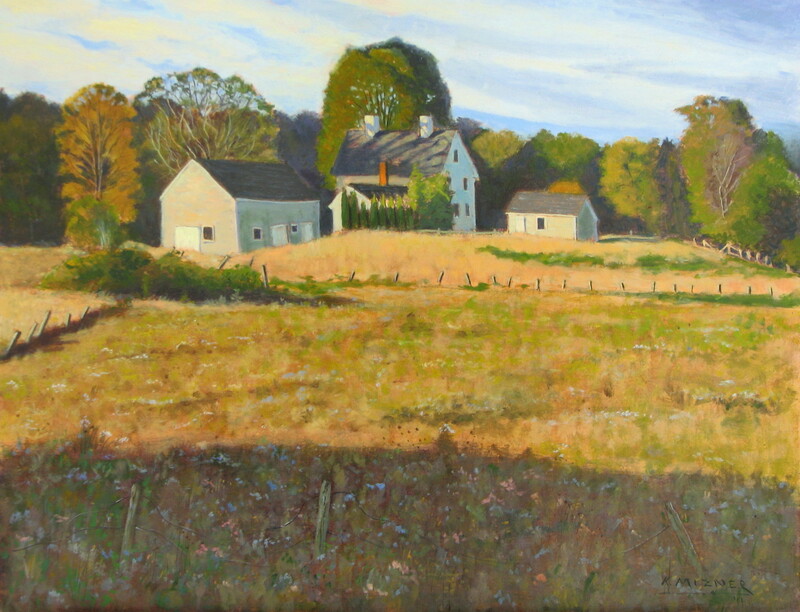 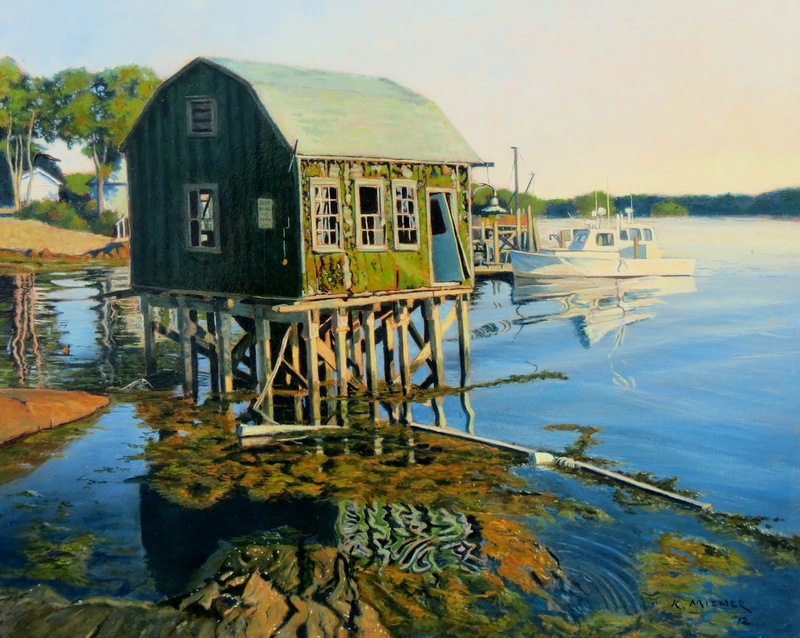 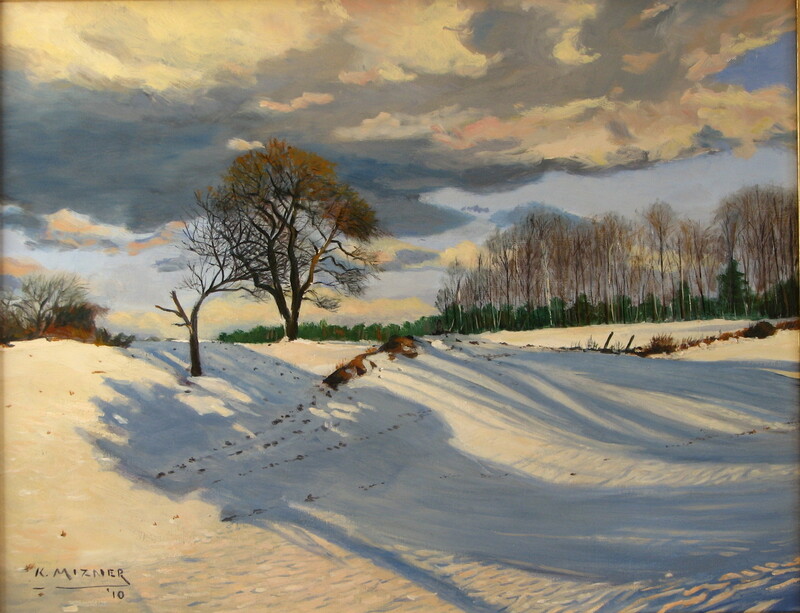 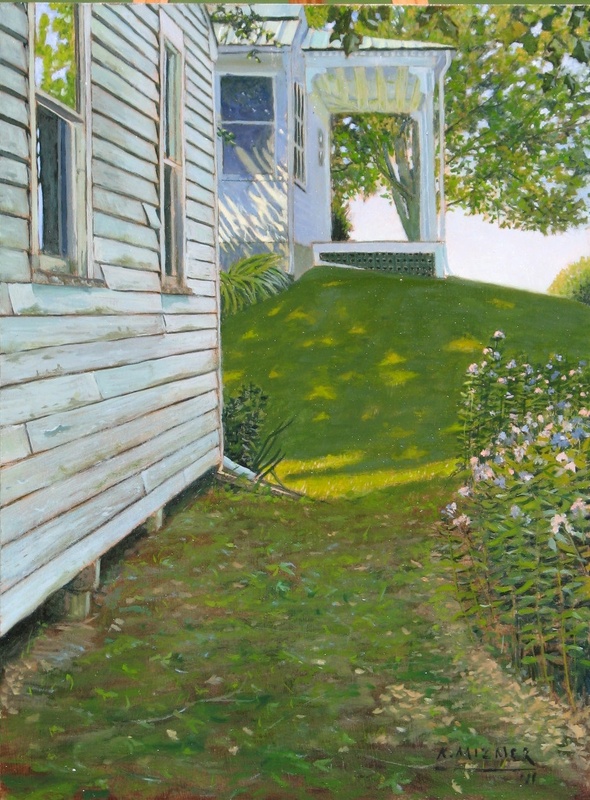 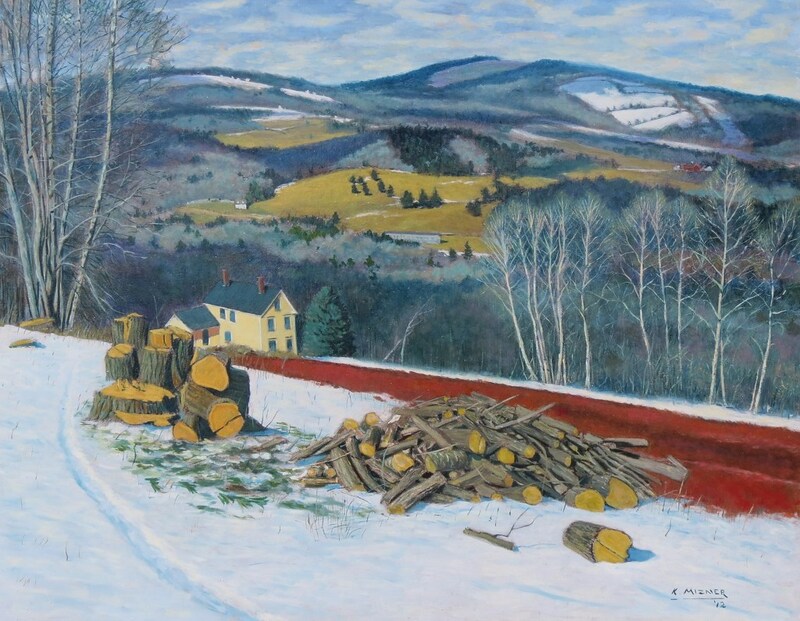 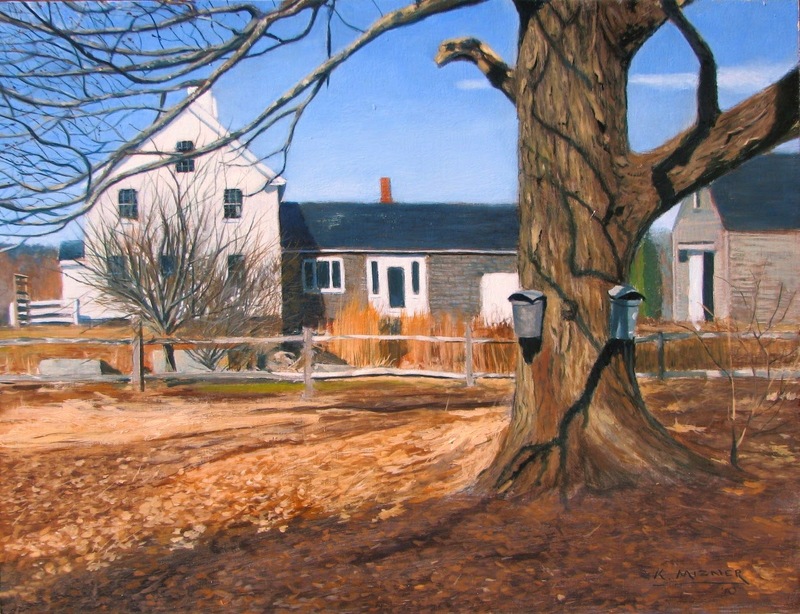 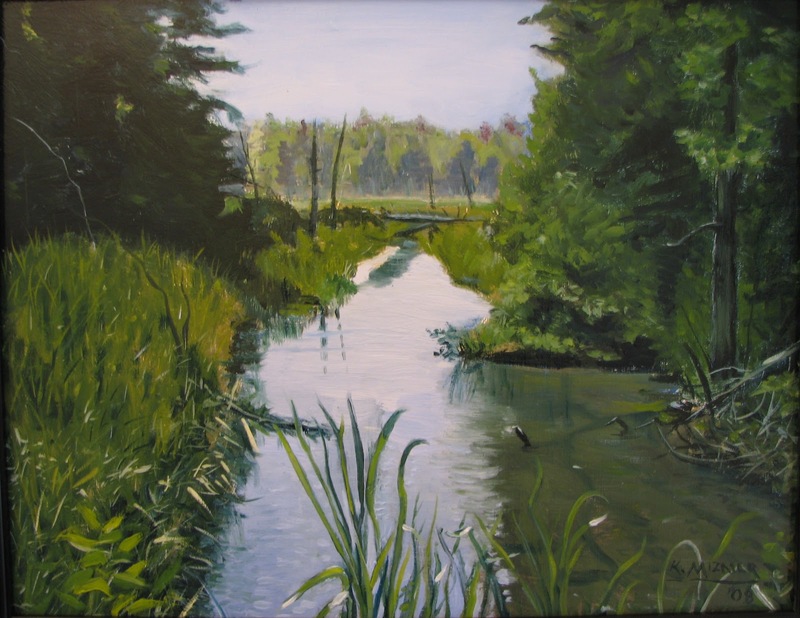 Kevin Mizner has been painting scenes of Maine for well over thirty years. 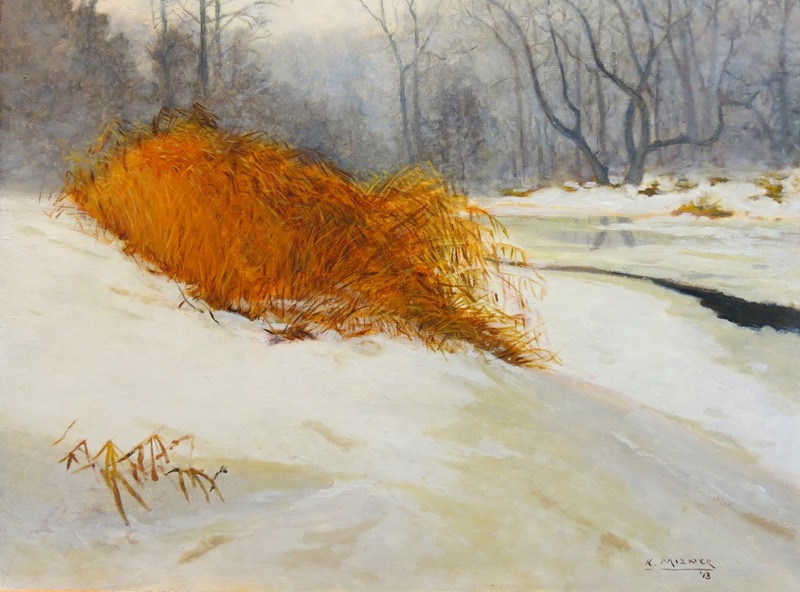 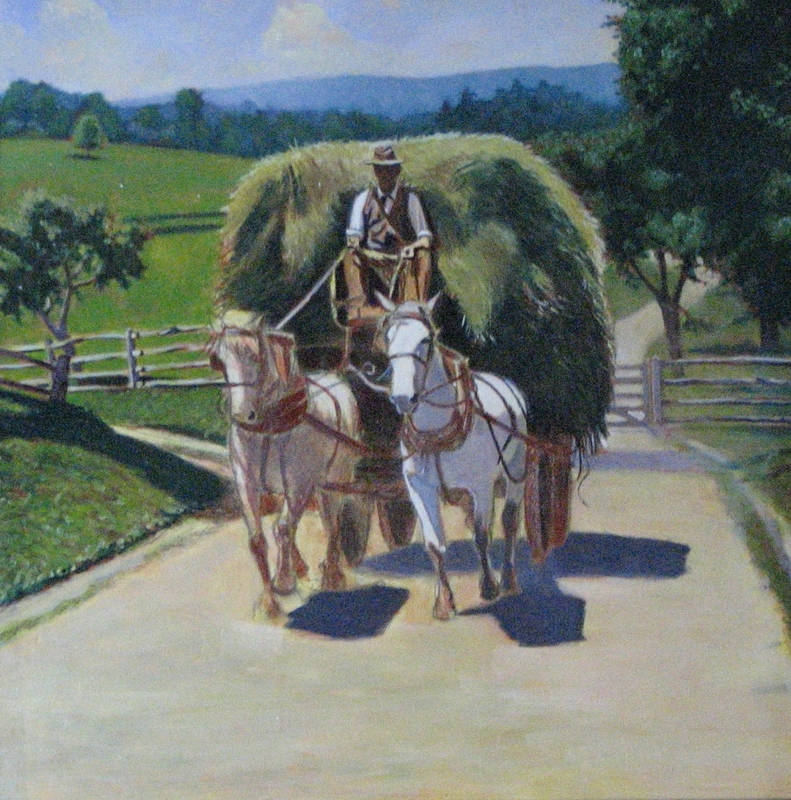 His realist style has evolved into a synthesis of classical landscape techniques with the sensibility of impressionism. 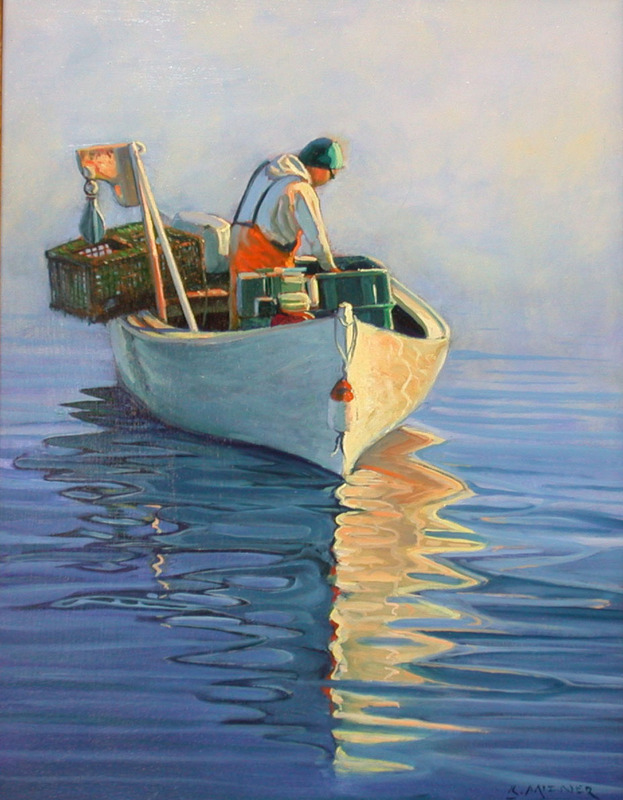 Kevin takes advantage of the everyday beauty of Maine: The Lobstermen plying their trade along the coast, or the rolling fields, farms and woods of Maine's interior. 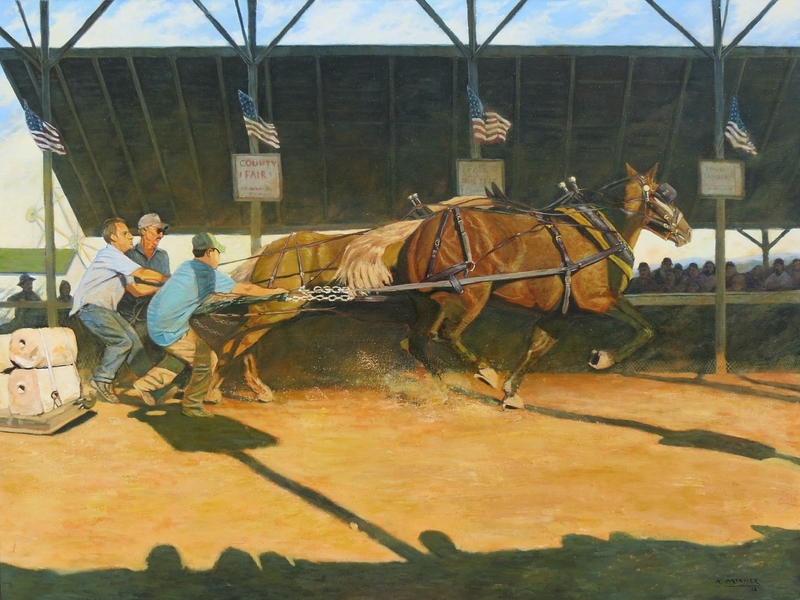 In his Americana paintings, he evokes a sense of the working people of Maine's history. 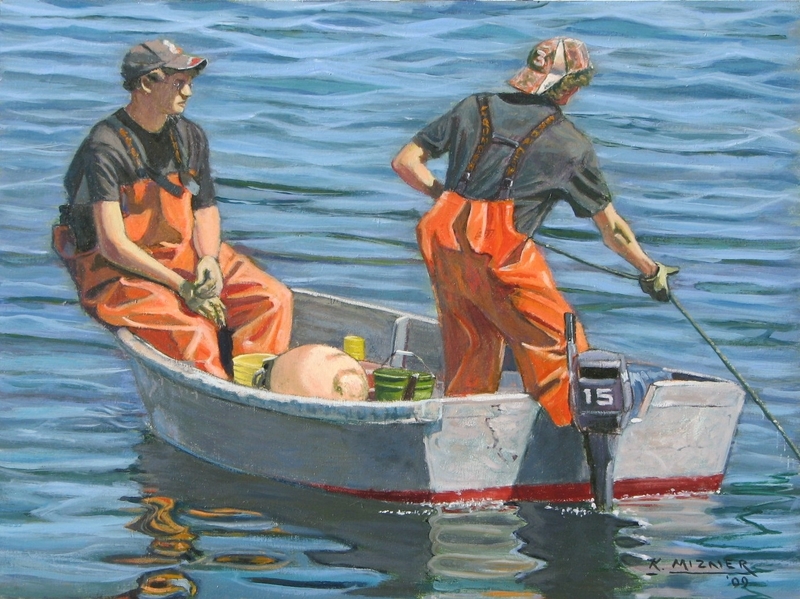 All are given a bold color-filled look that typifies Kevin's paintings. 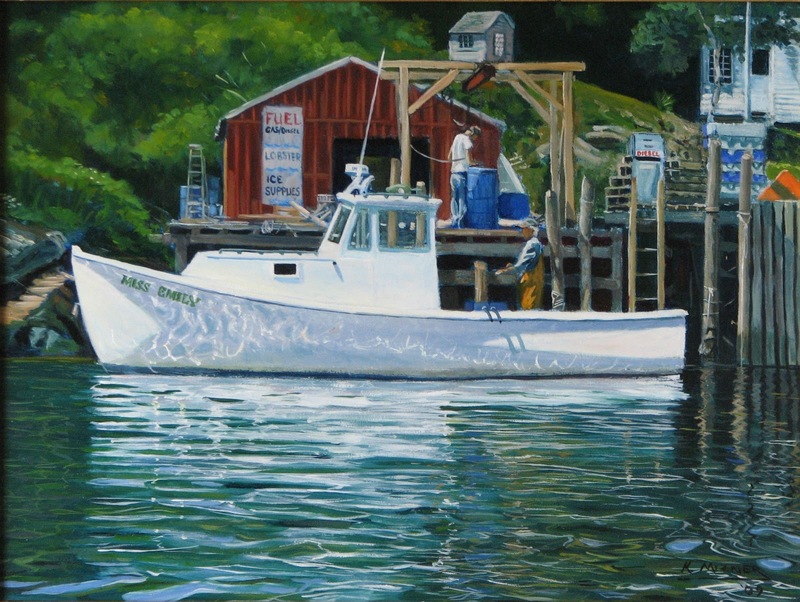 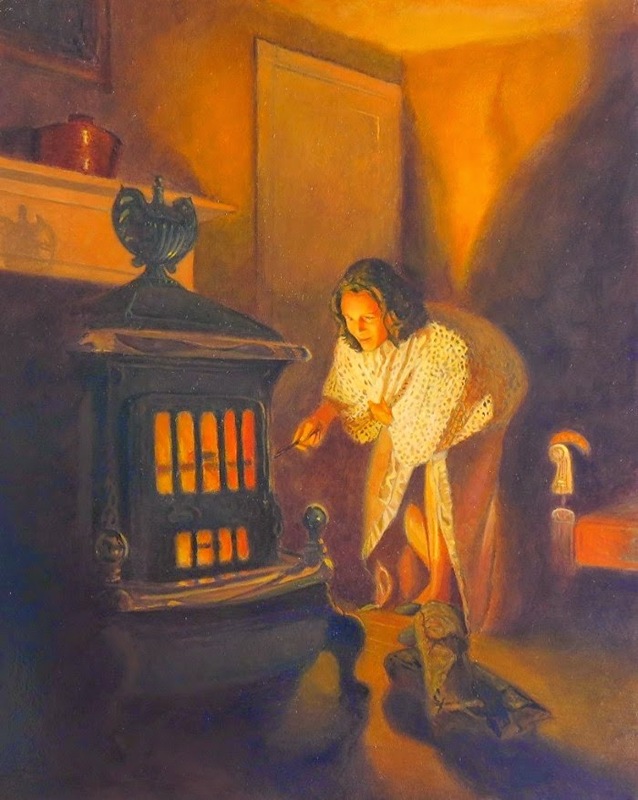 - I am a self-taught artist whose been painting Maine and her people for forty years. 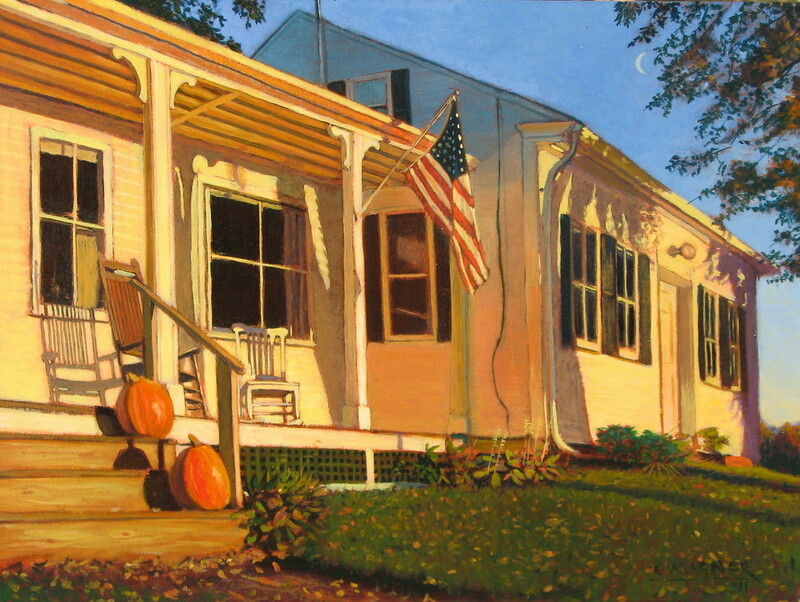 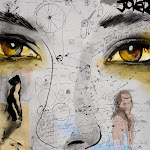 Everything I paint is from my own experience, emotion and observation. 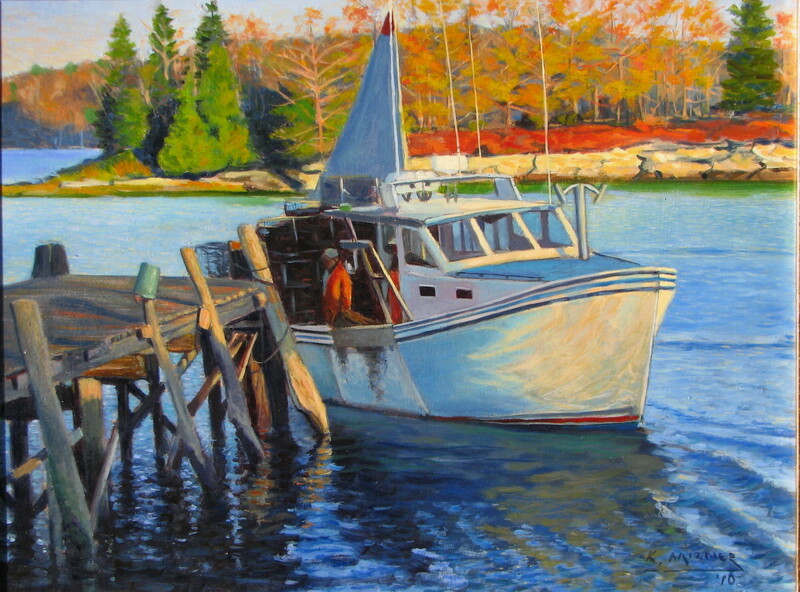 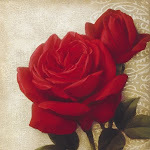 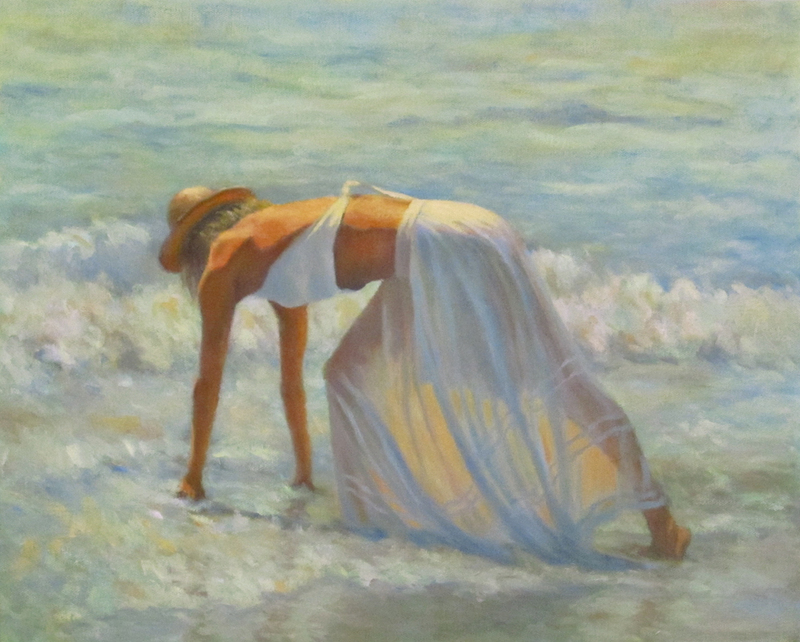 I feel that authenticity and emotion in a painting cannot be conjured, it must be real. 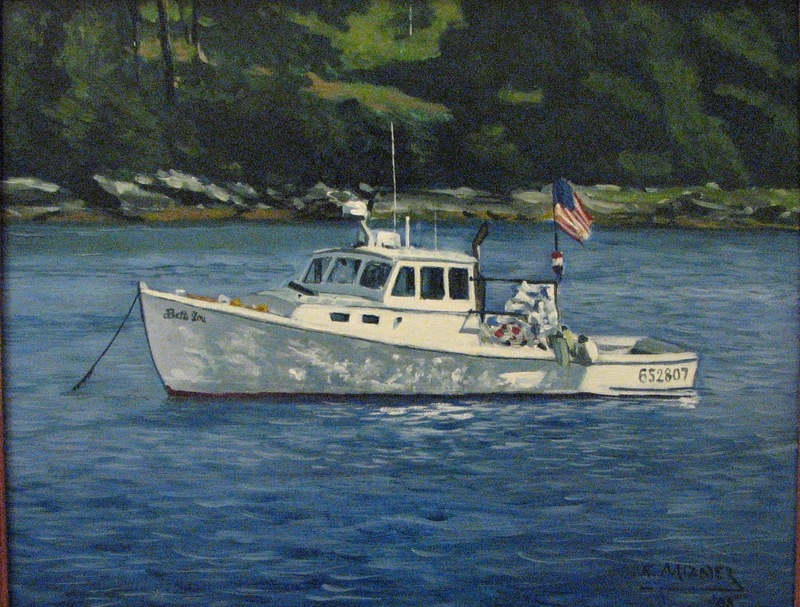 As a result, I have worked on Maine lobster boats to better experience and portray the sea. 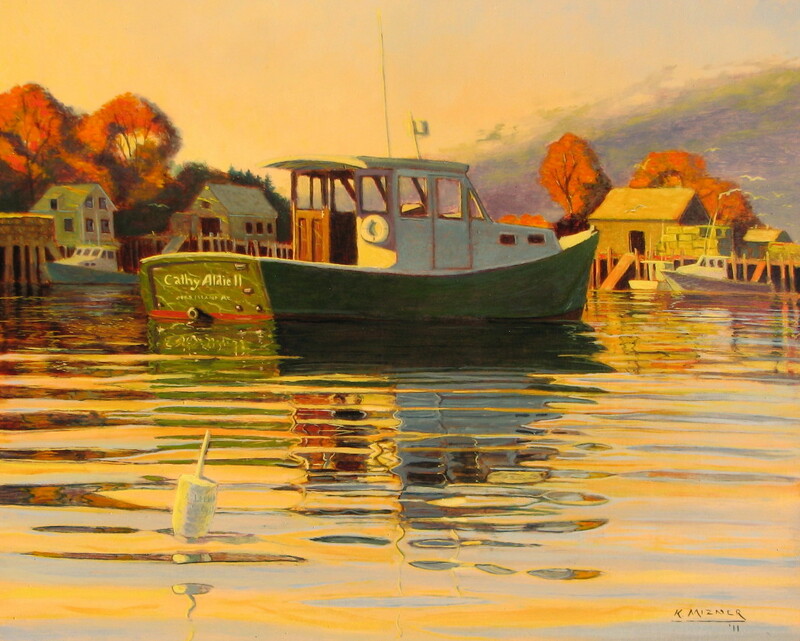 I have hiked countless miles through the Maine woods, and along her shores observing Nature's colors. 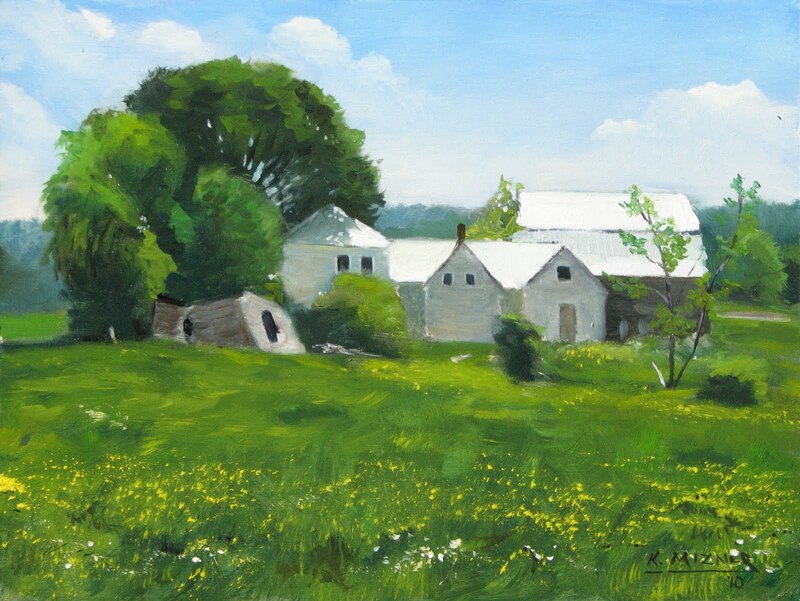 It seems I can't paint just "a Landscape" or "a Seascape", to me they are portraits of old friends I've come to know, understand and love. 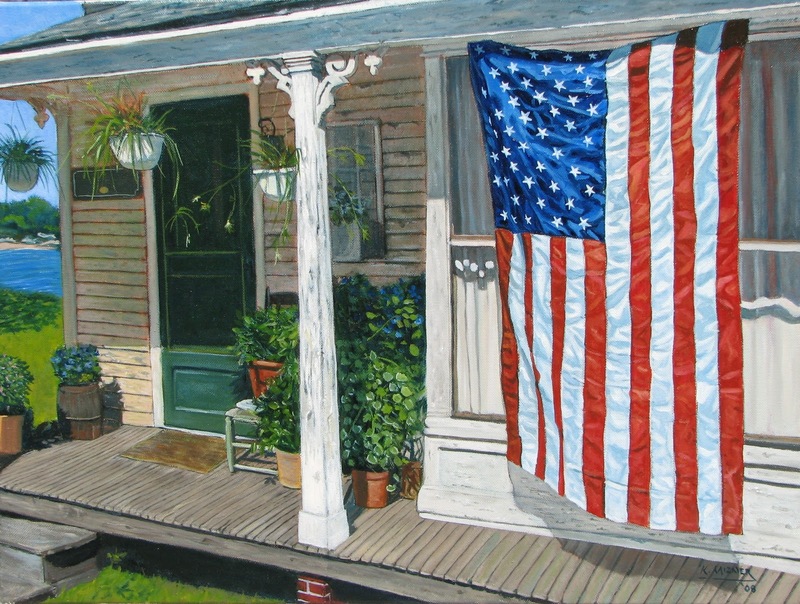 My Americana Series stems from my love of American history, and my deep curiosity of what the world of our ancestors may have been like. 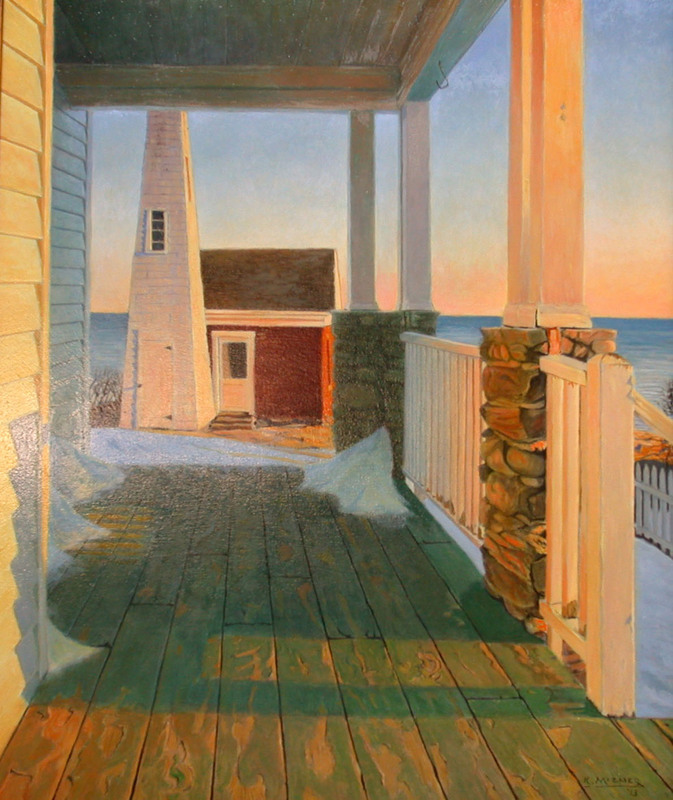 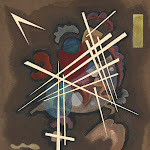 These paintings are my time machine. 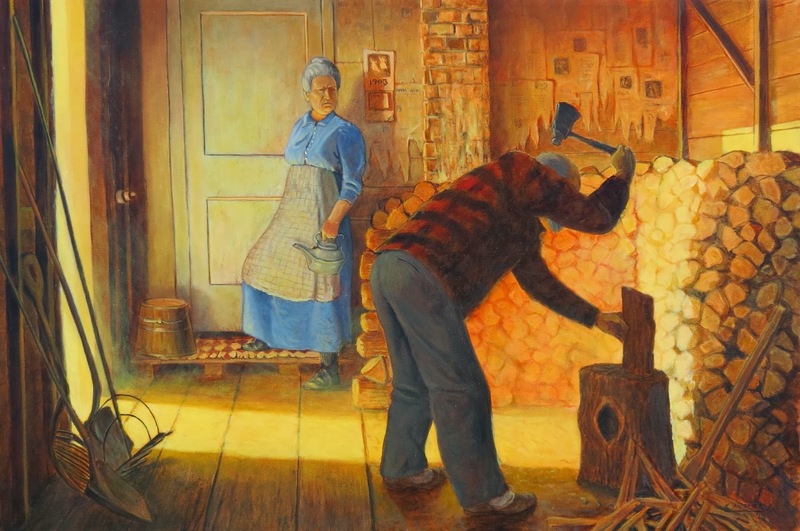 I simply want to catch regular people doing the every-day activities that made up their lives, but in settings that may still be familiar to us. 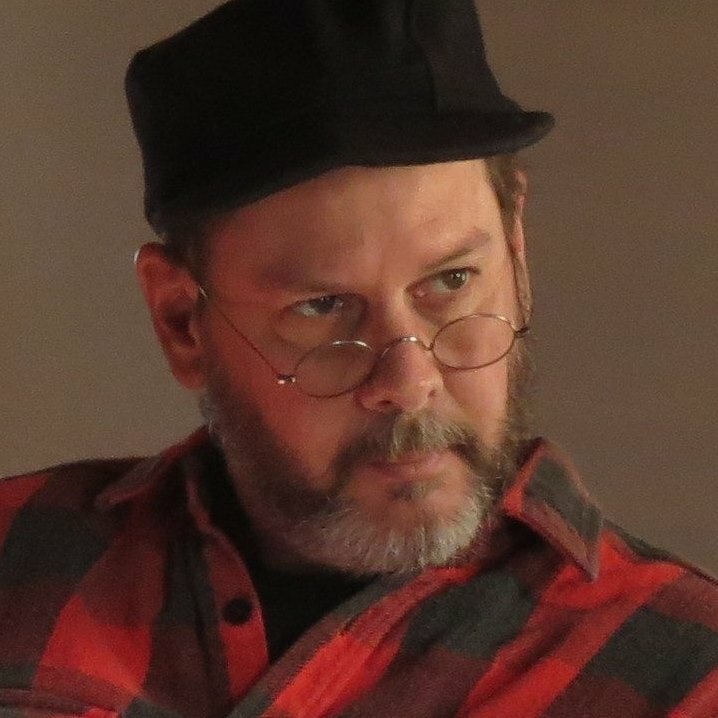 I start with my imagination, but then through much research, authentic clothing and props, I strive to make my vision come to life. 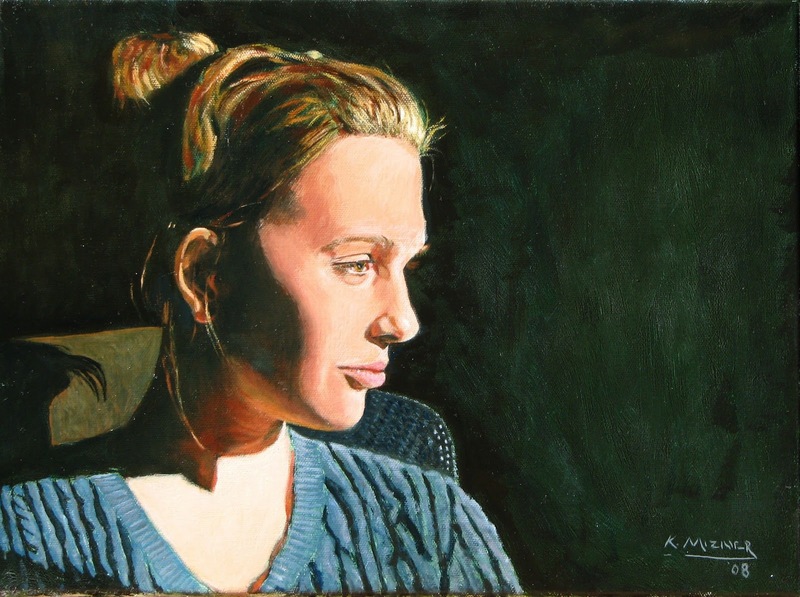 My technique is based on traditional oil painting practices, with sketches and studies, both on sight and in the studio-- but rest assured I will use any trick in the book to make the best painting I can produce. 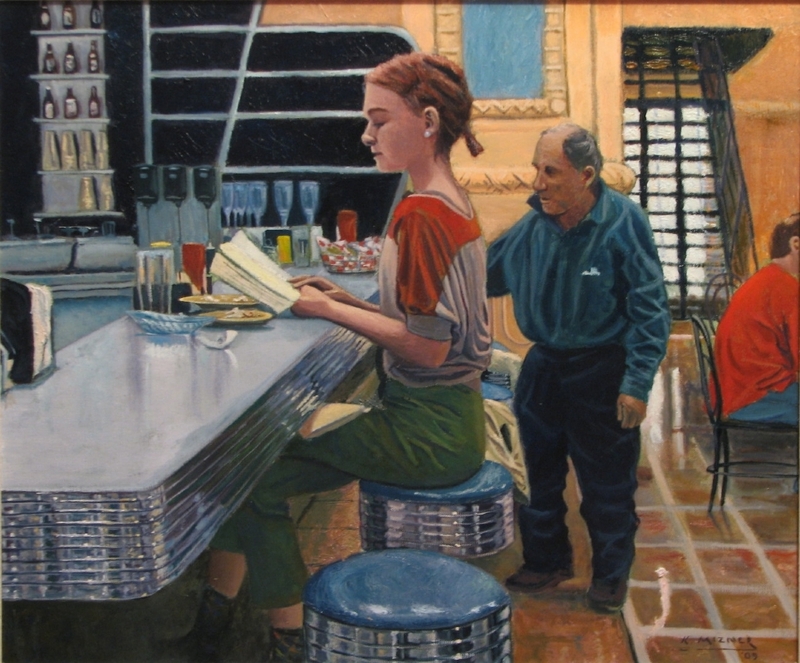 Because in the end, only the painting can tell the story. 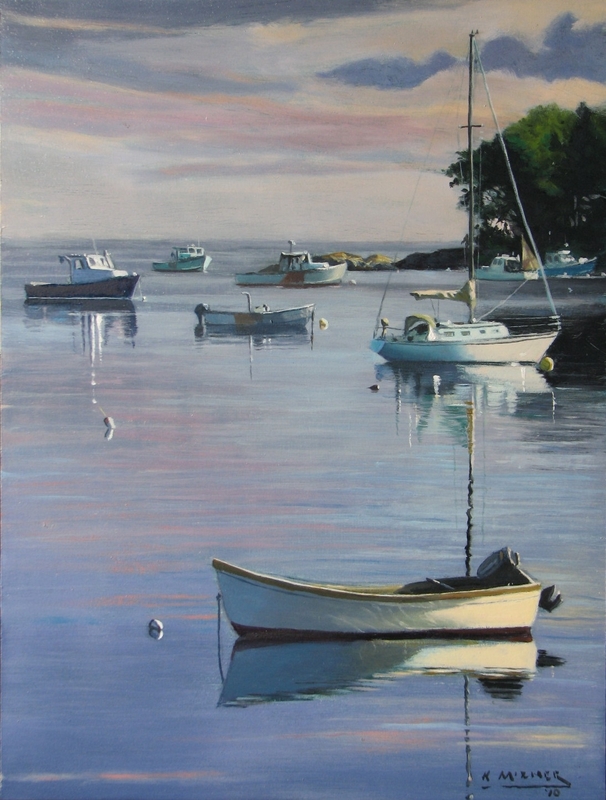 2007 Juror’s Choice Award - Maine Art Gallery 49th Juried Maine Open Art Exhibit.